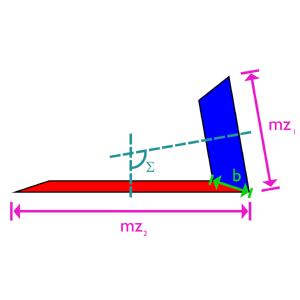 This calculator generates a Python script that draws a threaded surface with a profile falloff, which can be used to model screws, nuts, screw-caps, or any other useful object employing a threaded connection. This calculator allows you to create a perfectly meshing involute internal/external gear pair instantly. 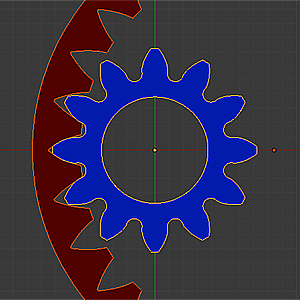 Enter your standard gear parameters (module, number of teeth, profile shifts), press a button, copy and paste the generated Python script to Blender, and your two gear outlines are ready. The calculator will also check the generated outlines for overlaps, and advise you to use a positive profile shift if an overlap does occur. Additionally, if you are designing a planetary mechanism, this calculator will assist you in calculating the number of teeth and profile shift for the 3rd (center, or sun) gear. 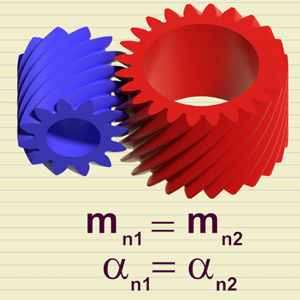 This calculator allows you to create a pair of perfectly meshing involute gears instantly! 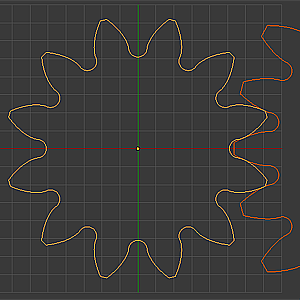 Enter your standard gear parameters (module, number of teeth, profile shifts), press a button, copy and paste the generated Python script to Blender, and your two gear outlines are ready! Turning them into full-bodied straight, helical or herringbone gears is exremely easy too. The calculator will also check the generated outlines for overlaps, and advise you to use a positive profile shift if an overlap does occur. The rack-and-pinion calculator instantly generates the tooth profiles of the involute gear and meshing rack with trapezoidal teeth based on the number of teeth on the pinion, module, pressure angle and profile shift. The calculator supports both straight-tooth and helical rack-and-pinion pairs. The calculation of a hypoid gear drive is very math-intensive but this online calculator shields you from all those complex formulas. Just enter the number of teeth on the pinion and wheel, hypoid shift and the wheel's median radius, and press the button. 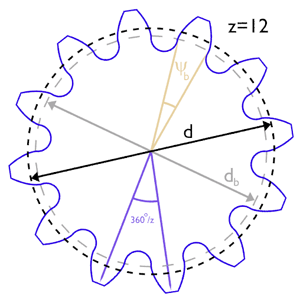 The calculator will generate equations for the tooth profiles of both gears, transformation scripts, spiral angles and all other dimensions so that you can design a functioning hypoid gear pair in minutes. 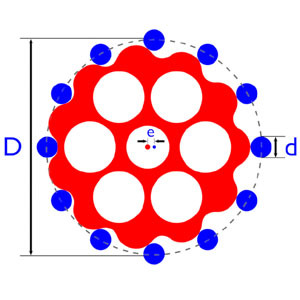 The most important and complex part of the hypocycloid speed reducer is a flower-shaped gear called cycloid disk. Based on the four parameters of the hypocycloid drive (ring diameter, pin diameter, number of pins and eccentricity), this online calculator generates the parametric equations of a curve, called epitrochoid, from which the actual profile of the cycloid disk is obtained by a quick and simple inset operation. An internal gear is a gear with its teeth pointing inwards. Gears like that are used in planetary gear trains and many other mechanisms. 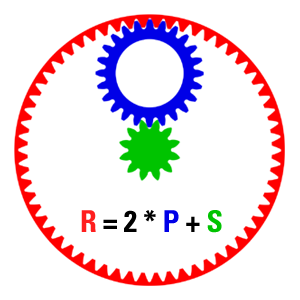 This online calculator takes the module, number of teeth, and profile shift coefficients of an internal and external gear pair and generates the tooth profile equations for these two gears. It also calculates the distance between the gear centers. A bevel gear drive can be fully defined by just a handful of parameters: the number of teeth on each gear, the module (shared by both gears), the angle between the shafts, and the length of the contact line of the reference cones. This calculator takes these parameters as the input and generates the equations for the tooth profiles on both gears, as well as many other useful parameters which make modeling a bevel gear drive in Blender an easy and fun experience. 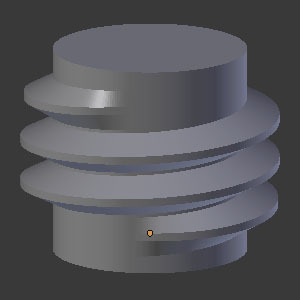 While a simple cylindrical worm shaft is easy to model, the globoid (also known as throated) worm is tricky. Modeling the matching gear wheel for it is even trickier. 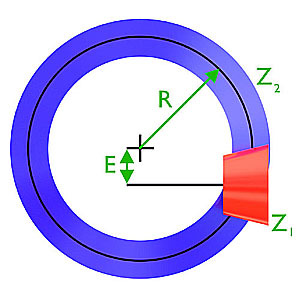 But it is worth the effort: a globoid worm drive is much more efficient than a cylindrical one. With the help of this online calculator, you can model a functional globoid worm shaft and wheel pair in no time at all. 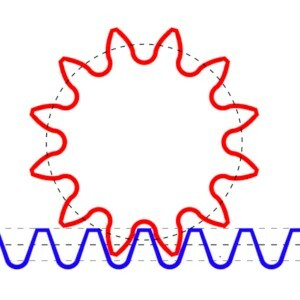 Just punch in the desired dimensions, and the calculator will generate the mathematical equations of four curves around which the worm shaft's surfaces are easily modeled. These surfaces are then used to model the teeth of the mating wheel. 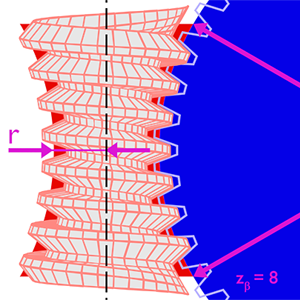 The sides of most real-life gear wheel teeth are a mathematical curve called the involute. This curve has a remarkable property: the pressure angle between the teeth of two mating gear wheels remains constant during rotation, which increases efficiency and reduces vibration and noise. The involute can be defined parametrically with a pair of simple equations. These equations can then be plugged into 3D modeling software such as Blender to easily model a pair of geometrically perfect involute-based mating gear wheels. This online calculator enables you to specify the desired parameters for a gear wheel and instantly obtain the equations describing this wheel.